Young male # 1 (Black 64/Blue R) who fledged quite early on May 31 returned home today! He had a very strong flight right out of the carrier and was immediately joined by Rebecca, Kewpee and his brother (Black 63/Blue R). 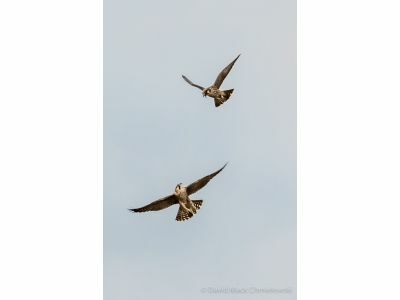 They flew to the WMU Medical School and the two young males spent a couple hours flying around and perching together. Both of their flights and landings are looking good. We expect that he will make a good adjustment to being back in Kalamazoo with his family. The young female (Black 24 / Blue Z) is still in rehab and her temperament has mellowed quite a bit. She is flying fairly well and the rehabilitation center hopes to send her home next week if her flying becomes a bit stronger. We will have news very soon about their names, so stayed tuned!